The Still Café table by Iskos-Berlin for Muuto is characterised by its angular, straight-line design, which gives it a noble and modern touch. The square tabletop is supported by a base with a four-legged frame that has cleverly bent edges. While the table top is laminated, the base is made of powder-coated steel. The table can be used in the home kitchen, but it can also be used in cafés, restaurants, hotels or offices. Due to its simple appearance, it adapts perfectly to any ambience and is therefore versatile. The Still Café table is available in different colours and with a round table top . 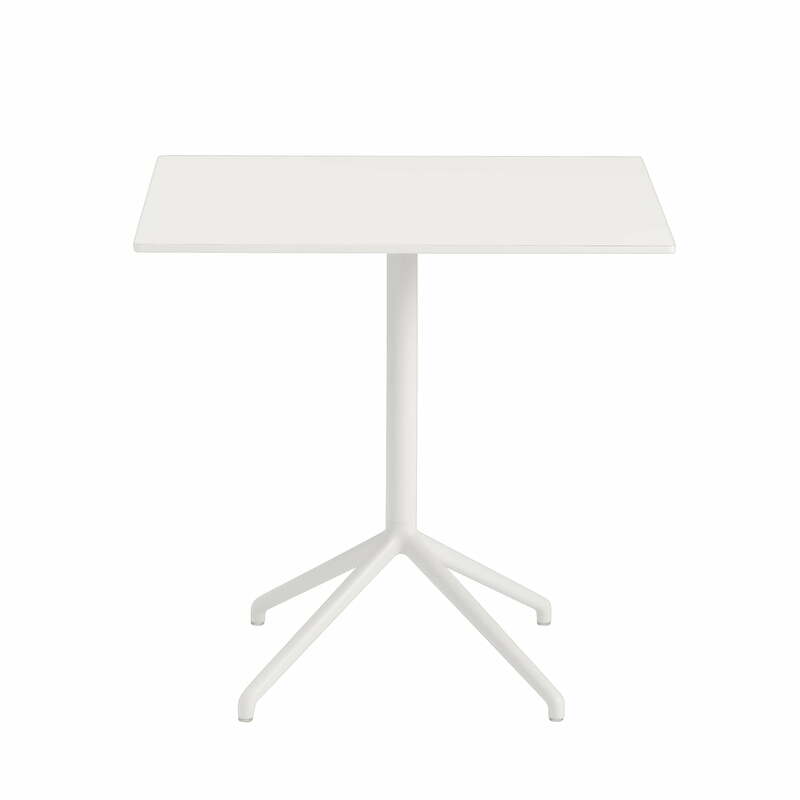 Still Café table H 73 cm, 75 x 65 cm in white by Muuto in single view. The Still Café table by Iskos-Berlin for Muuto is characterised by its angular, straight-line design, which gives it a noble and modern touch. 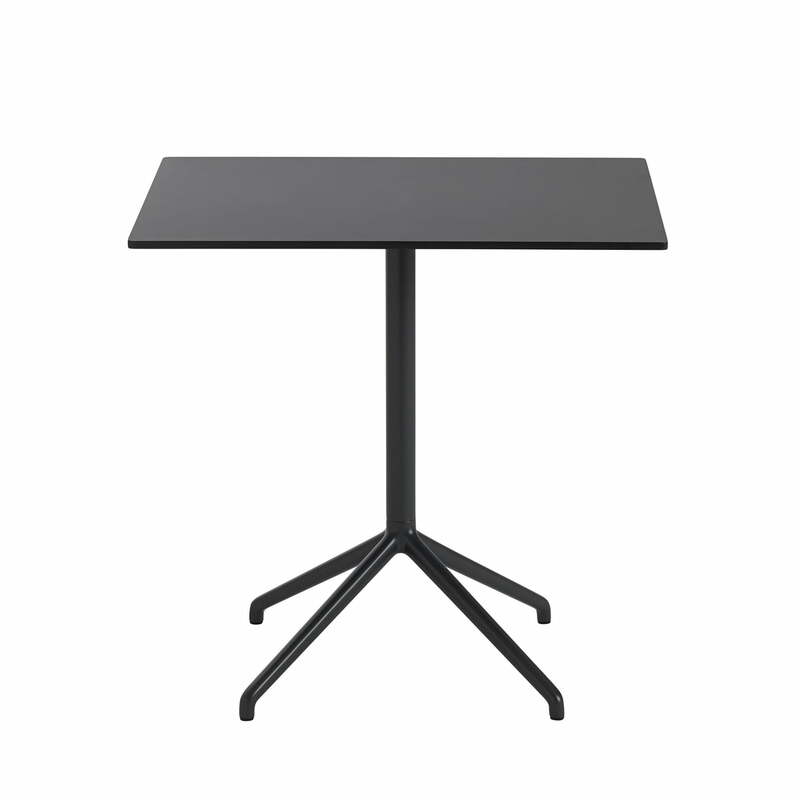 Still Café table H 73 cm, 75 x 65 cm in black by Muuto in single view. 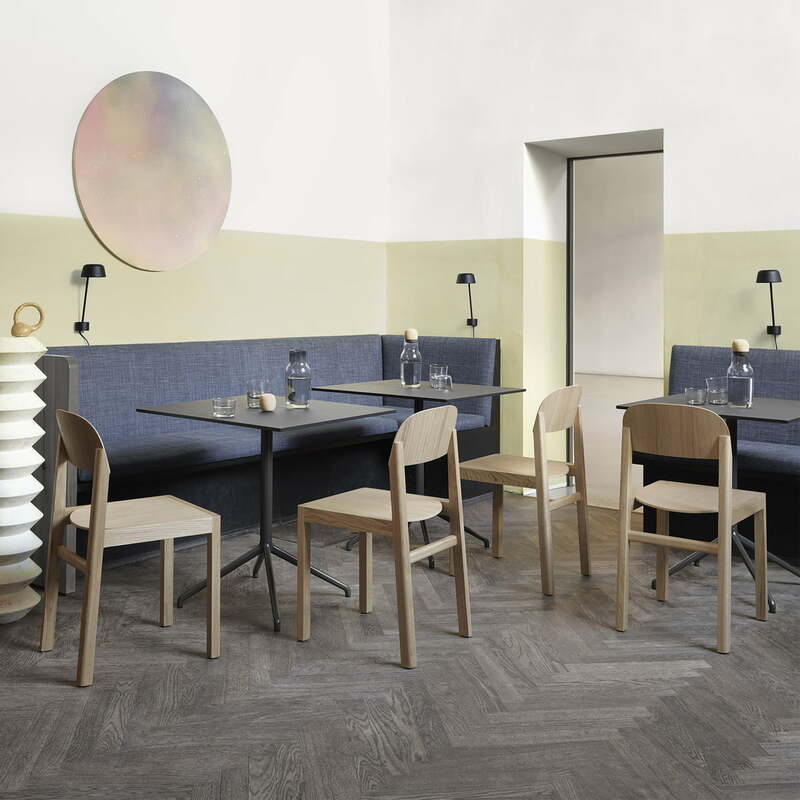 The Still Café table by Iskos-Berlin for Muuto is characterised by its angular, straight-line design, which gives it a noble and modern touch. The square table top is supported by a base with four-legged frame. Still Café table H 73 cm, 75 x 65 cm, black by Muuto in the ambience view. The table can be used in the home kitchen, but it can also be used in cafés, restaurants, hotels or offices.